Yes, Melissa & Doug is having a sale — and you’ll want to hurry, because it’s happening today only on Amazon. The popular toy brand has stuffed animals, puzzles, play sets, sticker books, and tons more up to 50 percent off. Items start as low as $5, and a majority are under $15 — you won’t see much over $25 during this major sale because the discounts are that good. You can shop everything from a mix of developmental items for toddlers, like this colorful abacus for 47 percent off or these building soft blocks for $18, to super cute arts-and-crafts sets and giant floor puzzles (both under $10!) for older kids. You can even grab the brand’s popular stuffed bunny — an Amazon favorite — for only $9. And pro tip: If you haven’t put together that Easter basket yet, now is the perfect time. 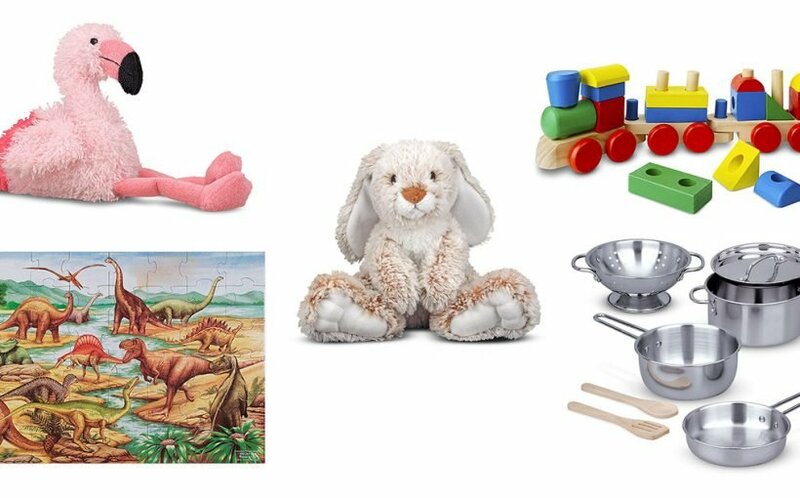 Melissa & Doug also has a special Easter and spring toys section you can browse through while adding these must-have deals to your cart. We rounded up some of our favorite picks below, but you can shop the entire sale at Melissa & Doug’s Amazon storefront here. Happy bargaining!